The Neeley School of Business comprises the undergraduate and graduate schools of business at Texas Christian University. TCU is a private university, originally founded in 1873 by brothers Addison and Randolph Clark. The brothers first called their school “Add-Ran College,” after the first syllables of their first names. In 1884, the school of business at TCU first opened as the Commercial School. In 1910, the University was relocated to its current location in downtown Fort Worth and it first began to offer the masters in business administration degree (MBA) in 1938. The AACSB accredited The School of Business in 1963. The business school was named in 1967 after M.J. Neeley, a long-term member of the Board of Trustees and financial contributor to the university. The Neeley School of Business is located on the TCU campus five miles from downtown Fort Worth, Texas. Located about 45 minutes from Dallas, Fort Worth is the fifth largest city in the state of Texas. Given Neeley’s situation within the larger Dallas-Fort-Worth Metroplex, a thriving economic and cultural hub, its students often benefit from access to mentorships, internships, and hiring by Metroplex corporations. Plans for the Hays Business Commons complex at the Neeley School of Business are currently underway at TCU. The Mary Couts Burnett Library recently underwent a remodel to add state-of-the-art technology and multimedia components. The LKCM Center for Financial Studies provides students interested in the field of finance the opportunities and tools needed to enhance their financial education. Students at Neeley also have 24-hour access to Bloomberg Business Terminals and Wharton Research Data Services. Neeley students can also participate in managing the $1.4 million student-run Educational Investment Fund. This opportunity gives top finance students hands-on experience in evaluating stocks and bonds as investments and managing assets. The center also holds various conferences and seminars. MBA students also have access to the Center for Supply Chain Innovation. This is for students pursuing a concentration in Supply and Value Chain Management concentration. It helps to connect students with companies as well as provide top Supply and Value Chain Management education. 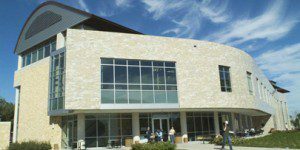 The Neeley Entrepreneurship Center was opened at Neeley in 2000. The center holds business competitions, provides advice for student entrepreneurs, helps students find internships at startups, provides students with free office and support space to launch and grow businesses, and hosts student clubs for entrepreneurs. MBA students also have access to The Neeley Professional Development Center. The Center provides Neeley students with personal and professional training and coaching for presentations, business writing and career preparation. In addition to the Professional Development Center, Neeley students also have access to the Graduate Career Services Center. The Graduate Career Services Center provides students with resume help, job search, networking events, career coaching, interview prep and skill building programs. There are currently 91 full-time faculty members at the Neeley School of Business. Around fifty percent are tenured faculty and 15 percent are tenure track. There are 24 faculty members that serve as academic journal editors. The student to faculty ratio is 13:1. There are 152 students enrolled full-time in the Texas Christian University Neeley School’s MBA program and 228 enrolled part-time. Women make up about 29 percent of master’s degree students at Neeley. About 10 percent of Neeley’s graduate students hold international citizenship, representing 16 countries. The Neeley School of Business offers a full-time MBA, Accelerated MBA, Professional MBA, Accelerated Professional MBA, Executive MBA, MBA for Energy Professionals, Accelerated MBA for Energy Professionals and Health Care MBA programs.